If you've ever been on a brewery tour at Veterans United Craft Brewery in Jacksonville, you know the story about the "pilot" system that Ron Gamble used to begin his journey into craft beer when his wife Sheryl purchased the starter equipment some years ago. The homebrewing hobby morphed into technical brewing education and positions as a professional brewer in New England. 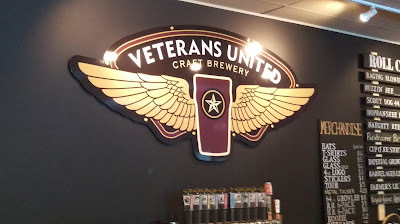 A former Naval Flight Officer, Ron formed Veterans United Craft Brewery in 2013, along with other veterans, and opened the military-themed brewery in August 2014, trading a flight deck for a brew deck on a 20-barrel brewhouse. If you've ever attended a concert or show at the Florida Theatre in downtown Jacksonville, you'll likely agree that every seat in the house is a good one and the acoustics enhance your experience at the historic ornate venue. After all, the theatre has been a leading entertainment center since 1927, and it's seen its share of different musical genres and entertainers over the years. As host of over 200 entertainment events annually, the Florida Theatre is also listed on the National Register of Historic Places. 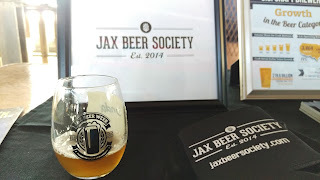 Jax Beer Week......... is here! Jax Beer Week officially started yesterday, Nov. 7, with the "Mash In" Kickoff Event at the Engine 15 Brewing Co. Downtown Jacksonville Production Facility. Presented by the Jax Beer Society, this party set the stage for the upcoming week of beer events all around Jacksonville. Check out some of my photos here.